DETROIT, MICHIGAN-December 19, 2013 – American Axle & Manufacturing (AAM) today announced the introduction of the automotive industry’s first disconnecting all-wheel-drive (AWD) system. EcoTrac TM on the all-new 2014 Jeep® Cherokee. AAM’s EcoTrac TM Disconnecting All Wheel Drive is a new approach to minimizing the effect of inertia and drag on a vehicle’s driveline system by disconnecting many of the rotating components from the driveline when they are not needed. AAM’s EcoTrac TM disconnects at the power transfer unit (PTU) and the rear drive module (RDM) allowing large portions of the driveline to discontinue rotating while in front-wheel drive. These components include both the PTU and RDM hypoid gear sets, the bearings associated with the gear sets, and the driveshaft. The result? The benefits of an all-wheel-drive system without the sacrifice to fuel economy and emissions. AAM’s EcoTrac TM Disconnecting AWD can be engaged with driver input or when Automated Transition Events (ATEs) occur. These ATEs are 100 percent customizable and include both environmental and dynamic events such as lower temperatures, rain detection and changes in slope among others. Upon receiving the signal from the AAM electronic control unit to engage AWD mode, EcoTrac TMengages all-wheel drive seamlessly without noticeable shifting to the driver. AAM’s EcoTrac TM technology consists of many industry firsts, including AAM’s patented RDM with a side mounted Torque Transfer Device (TTD). 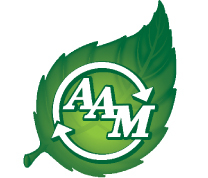 Thus far, a total of five U.S. patents have been assigned to AAM for EcoTrac TM. There are nine U.S. patents pending relative to the technology. Responding to the requirements of Corporate Average Fuel Economy (CAFE) standards, consumer needs and global concerns, AAM’s EcoTrac TM Disconnecting AWD offers the traction and control desired by drivers in all conditions, while improving fuel economy and safety and reducing emissions. EcoTrac TM is being manufactured at AAM’s Three Rivers Manufacturing Facility in Three Rivers, Michigan. In support of this new program, AAM has invested more than $100 million in the facility and has hired more than 550 new associates in 2013. AAM (NYSE: AXL) is a world leader in the manufacture, engineering, design and validation of driveline and drivetrain systems and related components and modules, chassis systems and metal-formed products for light trucks, sport utility vehicles, passenger cars and crossover vehicles and commercial vehicles. In addition to locations in the United States (Indiana, Michigan, Ohio, and Pennsylvania), AAM also has offices or facilities in Brazil, China, Germany, India, Japan, Luxembourg, Mexico, Poland, Scotland, South Korea, Sweden and Thailand.